Regardless of age, car accidents can cause serious and fatal injuries. 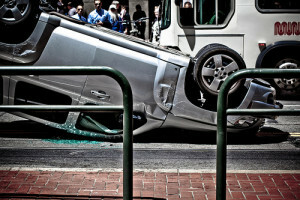 Yet all auto accidents don’t produce the same level of damage or personal injuries. Indeed, some traffic collisions are more severe than others. However, when younger people sustain minor or moderate injuries in an auto crash, they tend to recover more quickly than older adults, according to a recent article in Science Daily. Given that information, it’s important to think carefully about the long-term injuries and problems the elderly can face after a car accident. A recent study published in Annals of Emergency Medicine reported that “many seniors injured in motor vehicle crashes remain in pain for months afterwards, which negatively affects their quality of life, including the ability to live independently.” Indeed, according to Timothy Platts-Mills, MD, MSc, “the types of injuries that younger people recover from relatively quickly seem to put many seniors into a negative spiral of pain and disability.” Platts-Mills is the lead author of the study, and his academic home is in the Department of Emergency Medicine at the University of North Carolina Chapel Hill. Many seniors suffer injuries in car accidents, and Platts-Mills emphasizes the importance of analyzing their ability to recover after they’re involved in a collision. His research is particularly relevant given that America’s senior population is expected to double in the next twenty years. For Platts-Mills, learning about ways to identify patients who are likely to experience lasting pain upon a first emergency visit can allow physicians to begin therapies early on to deal with chronic pain. But in such cases, older adults still suffer significant pain from auto accident injuries. How can we prevent accidents from happening in the first place? The Centers for Disease Control and Prevention (CDC) stresses that “the risk of being injured or killed in a motor vehicle crash increases as you age.” To be sure, more than 580 seniors, on average, suffer injuries each day in auto accidents. Considering driving alternatives, such as public transportation or riding with a family member to your destination. If your elderly parent or loved one recently sustained injuries in an auto accident, you should contact a San Diego car accident lawyer to learn more about filing a claim for compensation. Car Recalls: What Should You Know?